Over one hundred and thirty five students competed in our fifth annual middle school writing contest, in which students write about water and its impact on their lives and our world. Mia Parker was the lucky winner. 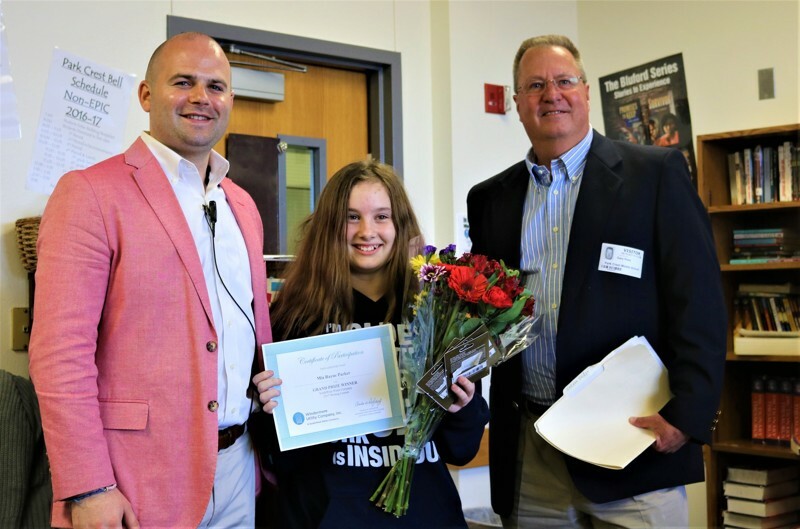 Parker, an eighth-grade student at Park Crest Middle School, received the grand-prize award for her essay, “Starbank.” SouthWest Water Company Director of Operations Gary Rose paid Parker a visit at her school Friday to give her the good news.